Since 2002, Lori and Dan Baumgardner have helped to organize the Pennsylvania Ayrshire Breeder’s Association Spring sale. This year, the sale will be held on Saturday, April 22, 2017 at the Shippensburg Fairgrounds. Lori is the Secretary/Treasurer of the Association. She and Jason Mowry, the PA Association President, head up the sale. Last year they were approached by an online bidding company called cowbidder.com. Cow Bidder sets up the sale for online bidding, expanding the audience for the auction to out-of-state bidders and anyone who can’t make it to the sale in person. Lori says that bidding through the website was brisk and the Cow Bidder recommends using a high speed internet connection to keep up with the action in real time. Anyone wishing to bid in the auction does need to register with the website at least an hour before the auction begins. The most exciting part about Cow Bidder is that it gives a national audience to what was once an in-state event. The Spring Sale is held in conjunction with the PA Ayrshire Association’s Spring Convention. Meetings are held on Friday, and then the sale is on Saturday. There are no cows in milk sold at the sale. It is mostly young calves which appeal to 4H and younger members. 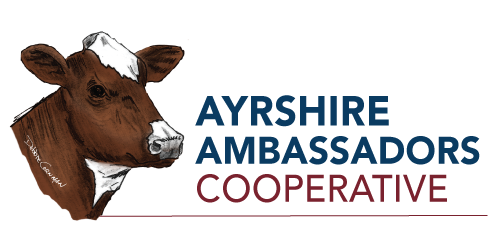 As with most Ayrshire Association events, there is an emphasis at the sale of encouraging youth to be involved with the breed. All calves purchased at the sale are automatically entered into the Open Spring Calf & Heifer Show taking place the same day as long as there is a corresponding age class. Entry fees will be waived for those who bought animals. There will be seven age classes total. Winter Calf, Fall Calf, Summer Yearling, Spring Yearling, Winter Yearling, and Best Junior Three Bred & Owned classes will award the first five placings with ribbons and cash premiums ($40, $30, $20, $15, $10). Banners will be given to the owners of the junior champion, reserve junior champion, and best bred and owned animals. 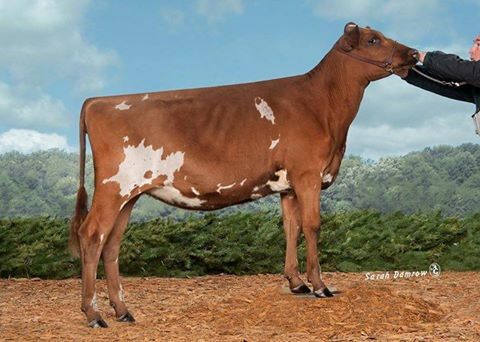 The hope is that with continued and careful management, Ayrshires can become a leading breed in dairy production. Their longevity and great production records prove the breed is a great option for today and for the future. If you are interested in selling at the Spring Sale, contact Jason Mowry at (814) 977-3935. You can also get the latest updates by following the Association’s Facebook page at www.facebook.com/paayrshire. As the event approaches details will be advertised in FarmShine, Dairy Agenda Today, and the PA Breeder Association newsletter.